Yep, they all learned that they can reduce production and prices will rise and yet we'll still buy the same amounts at higher profits for them.. Don't blame the companies, blame the idiots who still buy oil/gas at retarded prices! Comment is just plain stupid. 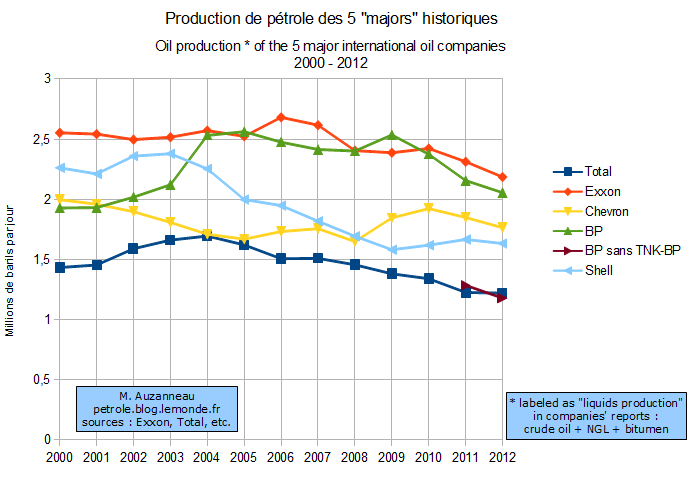 As all companies and govements make enourmous work to increase, or, at least, keep production at current level. This is that this charts are about. They are about simple fact that it is harder to do each day. LOL. It won't help. All easy to get oil fields are know for quite a time. Living in the world full of billions who do not have enough food (as modern food production became possible because of plenty of cheap energy) and can do anything for it won't be easy. 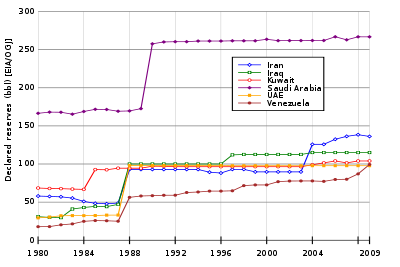 OPEC has consistently understated their actual and projected reserves, most oil speculators will agree that this is to make it seem more rare than it is to keep prices artificially higher, thus more profit. It is strange comment. In fact your first chart show that Saudy Arabia and some other countries reserves behave erratic, and it is not that they understate them, quite reverse. most oil speculators will agree that this is to make it seem more rare than it is to keep prices artificially higher, thus more profit. Interesting view. 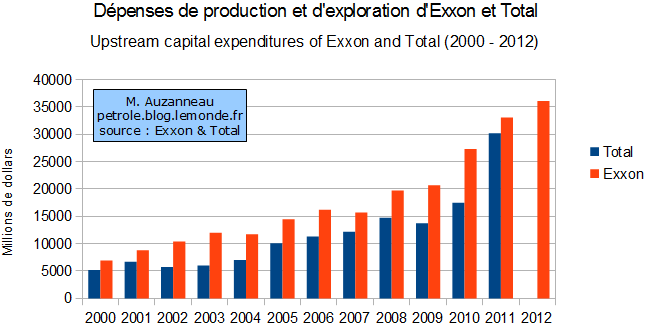 So, they specially reduce output and in the same time US and SA increase drilling machines working on oil fields. And US starts working on tight oil places just for fun? This page is from quite specific site. Repurchase stock at good levels is nothing new or magical. But requires view on full companies reports. You can just check post about USA Oil :-) I made one not long ago. Issue with all this is many of reserves are potential (you can't get them with current technology) and all else have terrible EROI. Soon no money will be backed up by oil neider gold. Quality of Human resource is the most common indicator of good currency. Even genetics plays important role in current state of exchange. Its wired but true. Its funny that now with fucked up social acceptances with a "complex social structures" and force injected liberalism ,most minds get bended to belive even in currency. 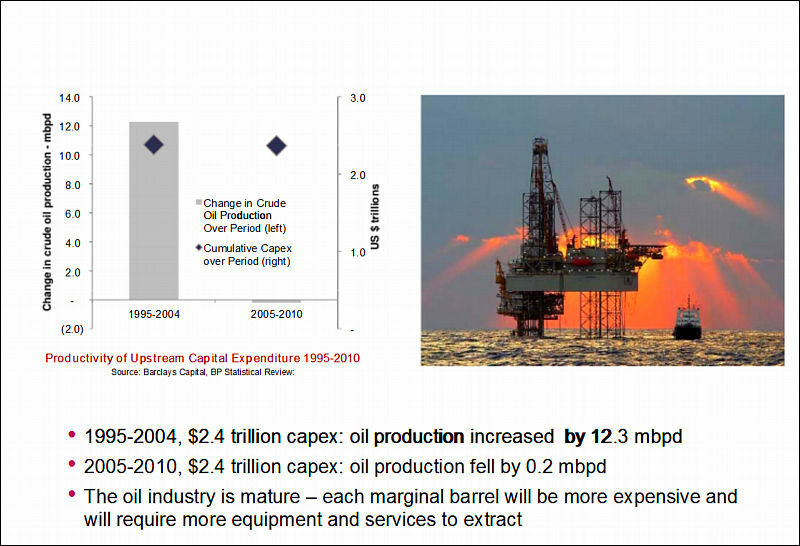 Money is a more complex thing since oil is just another factor of its value. Don't you think it is lot of logical contradictions here? First, genetics play very small role if you talk about brain development - learning process and external environment (including people around) play almost exclusive role. Second, "quality of human resource" is something fuzzy and abstract. Five homeless professors are better than one stupid worker pressing 3 buttons on robot factory, or it is reverse? That is the thing im talking about. Advance engeniereing comes from selectet places. Genetis plays roles. Those are.the button pressers my friend. poor professors in capitalistic economy, since dumb population is good comodity also. about professos it should be reverse. But it is not. What if this exact five professors are the guys who developed and help build this line? But after company realized how effective it is they just fired them and pushed on streets? That is a reasonable situation. In fact it happened in usa and russia quiet often, also on india and china. But they are major technology manufacturers and researchers. Its not the fault of the professor, indeed is the fault of the capitalistic nature of the system.